Before you eat anything, take a moment to be present. Breath deeply a few times, let your breath out slowly, and pause to be grateful, giving thanks for the nutrients and the energy you are about to receive from the food. While eating, chew slowly and mindfully, being aware of the flavors and textures. These simple exercises will GREATLY enhance the benefits of your food. Hydrating. Cucumber is 96 percent water. Fights heat, both inside and out. Relief from heartburn. Apply topically for relief from sunburn. Flushes toxins (because of the high water content). With regular use may dissolve kidney stones. Boost immunity Vitamins A, B and C gives energy, relieves joint and muscle pain. Contains most of the vitamins the body needs daily. Supplies skin-friendly minerals: magnesium, potassium, silicon. Aids in weight loss (high water content and high fiber in the skin). Revives the eyes. 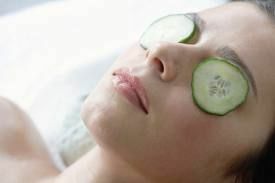 Placing chilled slices of cucumber on the eyes reduce under-eye bags and puffiness. Fights cancer. Contains lariciresinol, pinoresinol, and secoisolariciresinol. These three lignans have a strong history of research in connection with reduced risk of several cancer types, including breast cancer, ovarian cancer, uterine cancer and prostate cancer. Stabilizes blood pressure (both high and low) due to high levels of potassium, magnesium and fiber. Refreshes the mouth (antibacterial) and heals diseased gums. Hold a slice over the tongue and on the rood of the mouth for 30 seconds. Helps digestion because of the high fiber, mineral, vitamins and water. Smooths hair and nails (contains silica and sulfur which makes hair and nails stronger and shinier and stimulates hair growth). Cleans kidneys by lowering uric acid levels. Helps diabetics. Contains a hormone needed by the cells of the pancreas for producing insulin. Reduces bad cholesterol (due to the sterols). Promotes joint health, relieves gout and arthritis pain. The silica in cucumber is an essential component of healthy connective tissue, which includes muscles, tendons, ligaments, cartilage, and bone. They also lower uric acid levels. Soothe skin irritations and reduce swelling. Cucumber skin contains ascorbic acid (vitamin C) and caffeic acid which prevent water retention and has astringent properties. Reduce mirror fog by rubbing it on glass. Reduce squeaky hinges by rubbing it on the hinges (if no WD 40 is available). Two thick slices of chilled cucumber or grated cucumber. Find a comfortable place to relax and set the cucumbers over your closed eyes for about 10 to 15 minutes. This formula is inspired by one in the book Ecobeauty: Scrubs, Rubs, Masks, and Bath Bombs for You and Your Friends–it is very mild and works well for all skin types. Put all of the ingredients in a blender or food processor and blend until smooth. Pour the mixture through a fine-mesh sieve to remove all of the solids, then pour the toner into a clean bottle with a tight-fitting lid. Store this toner in the refrigerator for a longer shelf life—it should last for several weeks. To use, apply the toner to your face using a clean cotton ball. Blend all the ingredients together until they form a smooth, paste-like consistency. The mask can either be used immediately or left in the fridge for half an hour first. Massage 2 tbsp of the mask onto face and neck using circular upward motions. Relax for 30 minutes, or until the mask is dry. Rinse off with warm water, then follow with a cold water rinse. Puree the cucumber in a blender. Rinse off with warm water, then follow with a splash of cold water. Rub on skin and soak 15 min or longer. 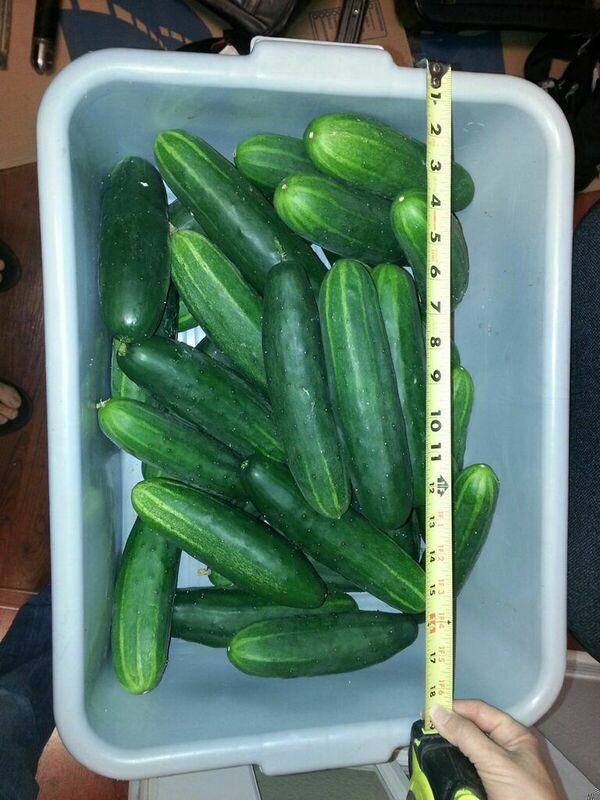 Cut cucumbers in half lengthwise and scoop out any large seeds. Slice crosswise into very thin slices. In a small bowl combine vinegar, sugar, salt and ginger. Mix well. Place cucumbers inside of the bowl, stir so that cucumbers are coated with the mixture. Refrigerate the bowl of cucumbers for at least 1 hour before serving. Drink right away, do not store.